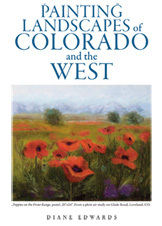 with the light and drama of Colorado mountain landscapes, North Dakota prairies, and the West. It's a great tool for aspiring landscape artists, whether a beginner or a more advanced painter. This book would also be helpful for teachers of landscape painting in any medium. Araseth -- Norway Painted in Light and Color' availble for purchase. 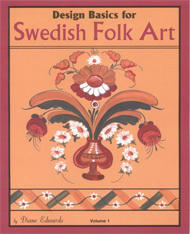 This is a beginner book for learning the basics of Swedish Folk Art, a beautiful painted art that was done in Sweden in the 1700, 1800's and early 1900s. There are several different styles which are described in this book and there are patterns of each with complete instructions. There are several pages with illustrated strokes to show the novice painter how to approach and decorate wooden pieces with this ethnic art form. Diane Edwards has done much research into Scandinavian folk art and she has simplified the approach to this art form using acrylics and easily available brushes for today's artist. 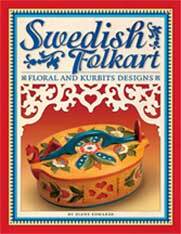 This book is a great introduction to the beautiful Swedish art form that can be applied to any present day decor. Included are easily usable patterns and instructions in exactly how to apply them to wood, walls, paper and canvas. There are many books available to study this art form but this is one of the few that can be used to learn how to paint it from the basics on to the more complex designs and patterns. 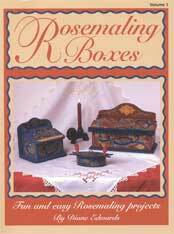 "I have taught and painted Norwegian Rosemaling for over twenty-five years and have found one of the most difficult design pieces for beginners is boxes and containers. This book was created to help Rosemalers paint on three-dimensional objects of many different types. All the pieces are easily available and are painted with acrylic paint and/or oils. Conversion charts are available for any paints with which you wish to work. The projects are in the Telemark style, Os style, Valdres and Vest Agder style. Most of these styles are presented with easy color mixtures and designs ." 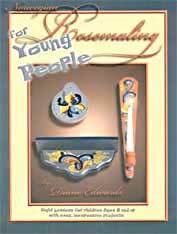 This book lays down all the rules for Telemark Rosemaling, one of the different styles of rosemaling in the various districts of Norway. 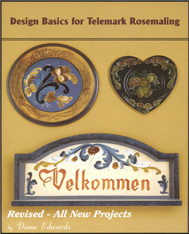 Basic information on designing Telemark rosemaling for beginners and intermediate painters of rosemaling. 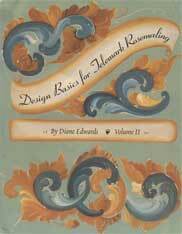 Strokes, color mixing, designing and basic backgrounding information included with designs for 19 rosemaled pieces.